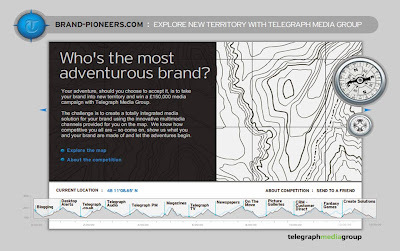 The Telegraph Brand Pioneers campaign, which launched at the start of October, invited agencies and clients to explore new territory by taking their brand on an adventure with the Telegraph. Media agencies and clients were encouraged to submit pioneering creative solutions, with the winner being awarded £150,000 of Telegraph Media space to execute their idea. The competition ran across October and November and culminated with an awards evening in central London - and we won! "The Telegraph Brand Pioneers Awards hosted by the distinguished adventurer, David Hempleman-Adams, took place at the Pigalle club in Piccadilly. The heroes of the evening were Zed Media and the Open University who walked away with the Telegraph Brand Pioneers Competition prize of a £150,000 campaign to run across Telegraph Media Group. Nick Burcher, Susie McGill and Michael Cook accept the Telegraph Brand Pioneers Competition prize from explorer David Hempleman-Adams (left) and Executive Director of Telegraph Media, Dave King (right). Runners-up were The Gate and Snappy Snaps and in third place it was ZenithOptimedia and Lexus. On awarding the £150,000 campaign prize, the judging panel of Neil Jones, the MD of Carat, Gerry Boyle, the CEO of ZenithOptimedia, Maureen Duffy, the CEO of the NMA and Steve Barratt, the Editor of Media Week praised Nick Burcher, Board Director of Zed Media, Michael Cook, Account Director for the Open University at Zed Media, and Susie McGill of the Open University for the sheer range of media they used in their entry, the real understanding they showed of the Telegraph's audience and for the smart way they integrated the Telegraph's different media channels to achieve their campaign objectives of unlocking potential. On the evening Dave King, Executive Director, said "We have been totally blown away by the great response and resonance that the Telegraph Brand Pioneers Competition has received with the industry and also by the quality of the entries. Judging was extremely difficult, but congratulations must go to Nick Burcher and Zed Media for the amazing campaign that have put forward for the Open University." I was quoted from the event: "Winning such a prestigious competition is a great endorsement of the multi-media, 'where all lines meet' approach we have been taking at Zed. 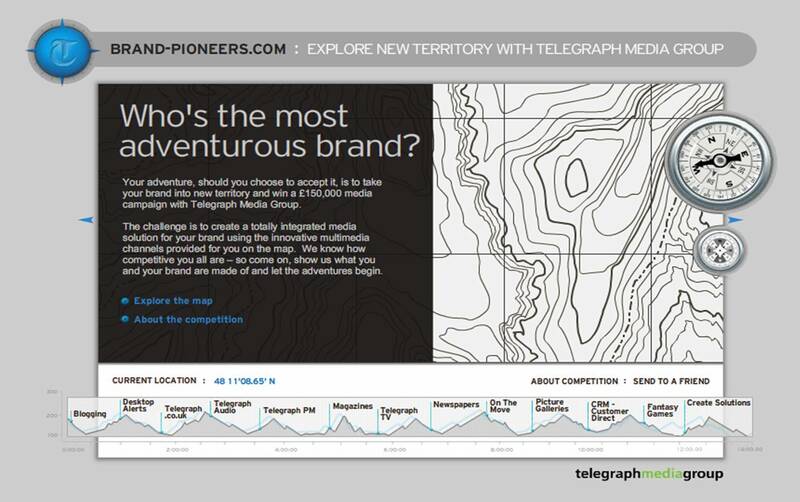 We are looking forward to working closely with Telegraph Media to bring this campaign to life and would like to thank everyone involved with organising the Brand Pioneers competition for putting on a great event!"